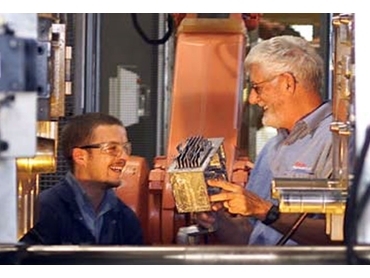 The CAST CRC was established in 2005 under the Australian Government's CRC programme, and is responsible for conducting industry-driven research in metals technology. CAST CRC defines its mission as "to be partner of choice for creation of innovative metals technology that benefits Australia." The Centre states that its main aim is to assist Australian companies in meeting the challenges of globalisation by helping to improve efficiency, decrease costs and develop technologies and processes that allow these companies to exploit new niche markets. To assist in achieving these aims, the Centre manages a comprehensive program of education and training at levels from technician to undergraduate and postgraduate engineers. 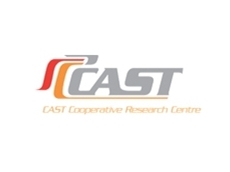 Primarily, though, CAST CRC is focussed on strongly industry driven research and development, with full integration of industry participants in the strategic planning of research directions. This focus on industry involvement in the research and development process helps to ensure that technologies developed by CAST are adopted throughout the full value chain, from metal producers to component and systems manufacturers, to maximise commercial uptake, industry diffusion and return on investment. Over 80 engineers and scientists work cooperatively within CAST projects at major nodes in Brisbane, Geelong, Gladstone and Melbourne.